Briggs Company - Fencing/Gates, Garden Services based in Lancing, West Sussex. 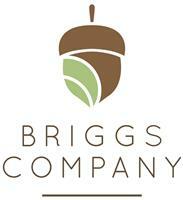 Briggs Company was founded in 2012 by Nick Briggs and is a family run business, operating throughout Sussex. Nick is a experienced gardener as well as having over 10 years of experience prior to setting up Briggs company, in horticulture, conservation and landscaping. Garden Clearance and Maintenance - All aspects of garden clearance and maintenance, including lawns and beds. We also have the necessary mowers to cope with large to very large lawns. Hedge Cutting / Pruning - No hedge too big or small! Competitive prices. Full Public liability insurance. Please see the gallery of photos for examples of recent work we have carried out. We look forward to assisting you with your garden.